In part one of From the Ashes, a rebellion is brewing in the Guild-occupied Three Kingdoms, and its ripples can be felt on both sides of the breach. In the conclusion of Bullet, Som'er Teeth Jones does some serious drinking and gambling with some of Malifaux's most well-heeled citizens. In part one of Bullet, Ophelia and Zoraida recruit Som'er Teeth Jones to help them obtain a piece of vital information, and Som'er discovers that he will be accompanied on his mission by one of his personal heroes. In the second installment of Welcome to Malifaux, Taelor continues her stories with tales of robbing trains and serving in the Guild Guard. In the first installment of Welcome to Malifaux, Taelor tells the story of how she lost her arm and acquired her famous relic hammer. In part two of Master of Fate, Zoraida, Pandora, and Lilith wreak more havoc in Guild Headquarters before learning what fate truly has in store for them. In part one of Master of Fate, Zoraida, Pandora, and Lilith meet in the bayou to discuss a plan to infiltrate Guild headquarters. In the conclusion of High Noone, Colonel Noone sets off into the mountains with a contingent of Guild soldiers in search of the elusive Marcus and his army of beasts. In part one of High Noone, an M&SU manager comes up against Guild colonel who is determined to track down Marcus. In the conclusion of The Dead Man's Ball, Gwen comes face to face with some of Malifaux's most feared resurrectionists and their foul creations. 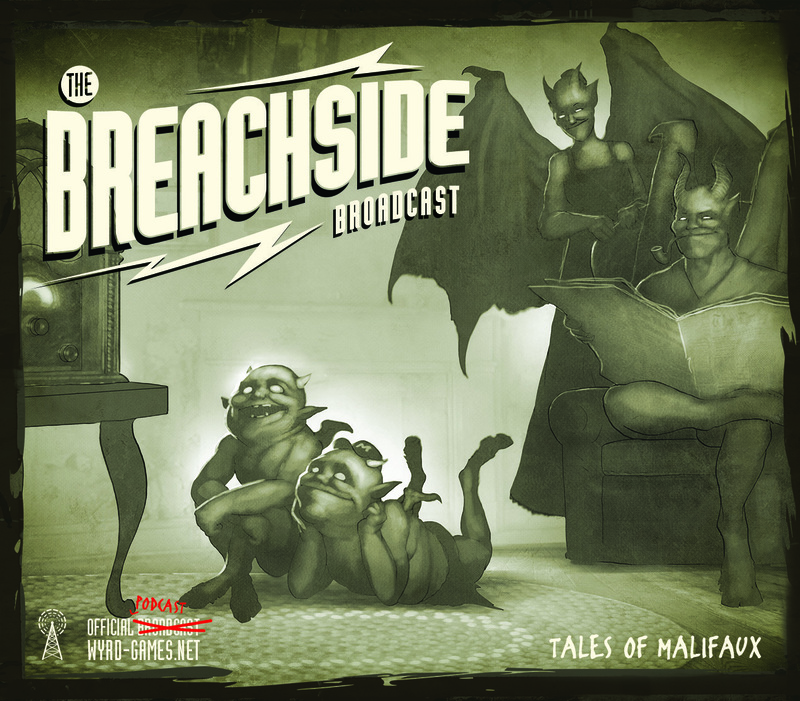 The Breachside Broadcast covers all things Wyrd.